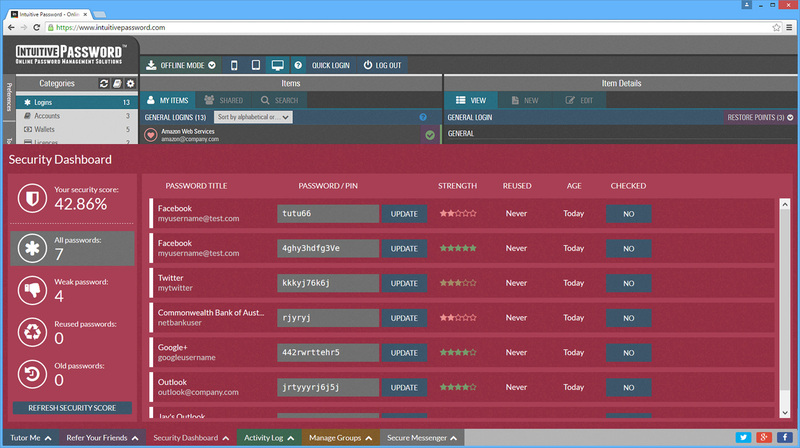 Intuitive Password Review 2019: Most Powerful Password Manager? How to pick a right password manager? What do you think of Intuitive Password? Answers are included in this article. We all agree that it is not an easy job manage all of your online & offline accounts and passwords. You may be able to create solid passwords while you just can’t remember them and have reset passwords frequently. Some of you may just refuse to spend time on creating long and complicated passwords, so you just use 123456 or reuse a password for all of your accounts. You know what? That may give criminals chance to crack your account and steal your information and money easily. How can we generate and remember unique & long password to every account? We don’t suggest you do the job yourself because it takes much time and energy. We suggest you use a password manager. Taking Intuitive Password as an example, it generates reliable passwords, stores them securely, fills web forms for you and allows you to share login information safely. Learn how it helps you in this Intuitive Password review. Intuitive Password is owed by Intuitive Security System which is a reputable company based in Australia. This company was founded by experienced and knowledgeable engineers to deliver high quality security solutions. 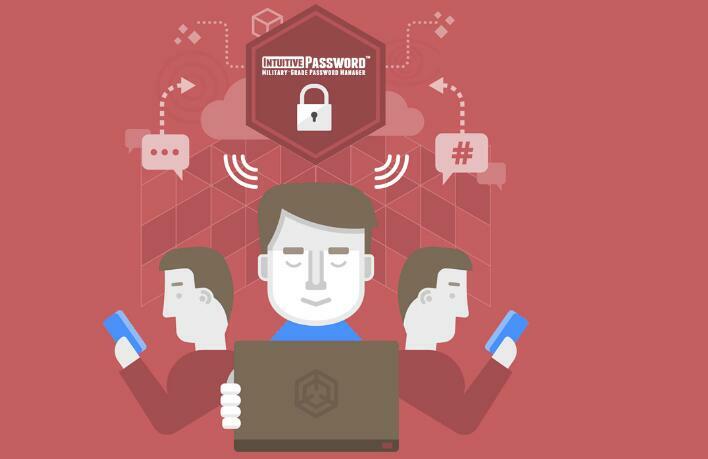 Intuitive Password is a great product that protects users’ passwords and confidential data. It has strong password generator which helps you create strong password to every account. You don’t have to keep those passwords in mind because the password manager remembers them for you. It helps you auto login and finish web forms as well. Your confidential will be stored in trusted enterprise-grade data center. Intuitive Password is built on high technology based AES-256 encryption which is an advanced encryption technology. The unbreakable encryption will protect you from data loss and third party intrusion. It offers firewall protection, safe SSL protocol connection and anti-theft security to ensure your data is untouchable. Two-factor authentication is supported for extra layer of protection. Single-use codes for access are available as well. Intuitive Password lets you shared passwords with your partners securely. It supports database backups and cloud syncing, so you can access your data from anywhere securely. This manager allows you to full down passwords to refer to offline. You will still be able to view your passwords when network is not available. Intuitive Password works on different platforms and has cross-browser compatibility. You can use it to protect your passwords on any device you like. It has friendly users interface. Even new users can get started with this service easily. Learn about its useful features with us. In those days, people can access lots of resources on the Internet. Users need to create an account on each platform so as to access the content and secure their personal information. You may download or upload videos on your YouTube account. You may need an OneDrive account to store your documents for work. To interact with your friends on social media platforms, you need Facebook, Twitter, Instagram or WhatsApp account. You need an Amazon account to shop online. You may own a couple of credit cards. Therefore, it is common that every Internet user has a dozen of passwords to remember. Some of you may write down usernames and passwords on a notebook to keep track of passwords. Others can’t view them unless they break in your house and steal the notebook. However, it’s a lot of works to do. If you have 500 accounts to different platforms, you need to write down 500 usernames & passwords. Besides, you need to go through a couple of papers and hundreds accounts to the find the one you need. That will take lots of times. Some of you may store them on browsers. However, your passwords can be accessed when you walk away from your PC or your PC is attacked by cyber criminals. Intuitive Password will simplify your digital life. It assists you to manage your passwords and other important data in one secure place. You can import passwords that you stored on browser or other password managers. If you store passwords on a notebook, you also can add them manually. Every time you create a new account, the login information can be stored to the vault directly. You don’t need to import them again. Intuitive Password provides abundant password storage, so you can protect all of your passwords with one account. If you have 500 accounts & passwords, will it be too difficult to find a particular one? No. It won’t. You can find needed passwords easily because it lets you use flags and tags to organize them. To categorize your passwords, you only need to pick a Password Item and choose a color for the flag. It even helps you enter login information and other personal information when you need to log in a websites or fill a registration form. There is no need to repeat the passwords for many times or try other methods to remember them. You won’t have to spend money on resetting passwords again and again. You can be free of hassle in managing passwords with Intuitive Password. When you need to create a password for the first several times, you may think it’s okay. However, it can be difficult to create the 20th different & long passwords because you already made couple of different combinations. In fact, it is not necessary to try so hard to think of a password. A password generator can do it within one second while it can take you few minutes. Let password generator do the job for you and you can spend your precious time on more important business. Intuitive Password has a powerful password generator. It generates reliable and unique passwords in a combination of all character types. By default, it creates password with 12 characters. If you prefer longer ones, Intuitive Password maxes out at 32 characters. Most data breaches were caused by weak and reused passwords. If others stole your email password, they could reset your online financial accounts and grab all of your money. It is necessary to secure your account with solid password. Intuitive Password generates random and complicated passwords that can’t be guessed or cracked by the hackers. You also can make it generate passwords for your family or friends if they need. It is able to create up to 99 passwords at a time. To help you save time, Intuitive Password lets you import your sites and secure note from browser, spreadsheet or other password managers. If you would like to import data from other password managers, you need to tweak the data into the correct CSV file format first. Don’t know how to do that? Intuitive Password can create a CSV template file for you. The file includes the title, username, password, and URL etc. when you import data. If you need stored data for any purpose, Intuitive Password enables you to data to CSV, TXT, HTML, JSON, or XML. If you need a bunch of passwords & other important information for a report, you can export them with one click. There is no need to copy the items one by one. This manager also lets you create a secure backup of your data or restore an existing backup. Intuitive Password allows you to share password and sensitive information safely. When you share login information with your family or friends, its Public Sharing lets them view your shared passwords without registering an Intuitive Password account. Your family and friends can access the shared passwords anytime with the data ID and permission code. Others can’t snoop at the passwords without permission. With Intuitive Password, you can import, export and shared passwords conveniently and securely. After you import passwords, you can view all of them from the dashboard. Intuitive Password analyzes the strength of your passwords and flags them as safe, vulnerable, or not safe in the list. It offers to update the old passwords. That means all of your passwords will be strong and unique with this tool. You can prevent brute-force attacks by hackers effectively. This manager keeps track of your passwords. It sends you an alert once it detects unauthorized login attempts or someone trying to change your password. Simply use Intuitive Password to update your passwords as soon as you see the alert. It is possible to stop the criminals before they can steal your data or money. No matter how weak passwords you used in the past, this password manager can strengthen them to be solid. Is it secure to store password and other secret notes on password manager data vault? It depends on which password manager you use. Intuitive Password is one of the reliable services that provide solid security solution to protect users’ data. Their team constantly adds new security capabilities and makes security improvements to the password manager for the highest protection. They use robust antivirus regime with regular updates and constant scanning to safeguard their hosting environment. User’s data is secured by several layers of firewalls to prevent unauthorized access. Application certificates are used to control access to data as well. This manager supports two-factor authentication. You are allowed to make it send an authentication code to your mobile phone or use Google Authenticator for authentication. It also protects data from DDoS attacks and malware infection. This service also utilizes AES 256 encryption technology and 10,000+ rounds of PBKDF2. That makes it almost impossible for hacker to crack your data vault. Intuitive Password uses SSL protocol for the communication between your browser and server. Likewise, their servers are encrypted and protected with on-site security, 24/7 video surveillance and strict personal access controls. Your stored passwords and other confidential data are highly protected. Besides, anti-theft security is available. Once the password manager detects suspicious activities, it sends you instant email security notifications to prevent attack and data loss timely. Intuitive Password not only helps you manage passwords, but also lets you create secret note. It allows you to create a vault for your logins, credit card details, software licenses, driver licenses, social security number, multiple email account & shipping addresses and many other important things. You also can create additional fields to store your security questions & answers for a particular web address. You won’t lose control to your account for any chance. You can use tags to organize your data so as to find them easily. If you have multiple accounts for the same platform, it lets you store them in the same location with different titles. You can access your personal data anytime you need at home or on the way. There is no need to carry various kinds of certifications or notebook with personal information everywhere. All your data is secured and encrypted. No need to worry about identity theft or information leak. Intuitive Password has offline mode for convenience. When offline mode is on, the password manager will create a static copy of your login data that is not stored on the company’s servers. You are required to create another different master password to secure the offline copy. In this way, they are safe and can be accessed when you are off line. Intuitive Password offers a secure, convenient and fast way to store and access your valuable data from anywhere. When it comes to password management, you may think it is difficult to understand and requires technical skill to work with it. In fact, it is very easy to work with Intuitive Password. There are Basic, Express, Advanced and Pro version from you to choose. The Basic package is the free version which comes with limited features. The premium versions start from $2.00 USD per month. It takes less one minute to finish the signup form and email validation. Download and install manager client on your device. No plugin is needed for installation. Create a long and complicated master password to secure your account. Import passwords, website addresses and other data. You can easily search for passwords and confidential data by keywords and tags. With the stored data, it can help you fill web forms to save time in typing the same personal information over and over again. Intuitive Password is flexible and customizable. It allows multi-user accounts. That means you can create multiple users within your account for family, friends or employees. You can choose to give them access to the master data or only share some of the personal data with them. It is an effective and safe way to share sensitive data. Intuitive Password works on mobile, tablet and desktop and is compatible with different operating systems. You can always access your account on any device next to you. Intuitive Password is an advanced and sophisticated product that assists users to manage passwords and other important data. It has useful password generator, helping you create random and long passwords with a combination of different kinds of characters. It offers to update your existing passwords and sends you alert when someone is trying to crack your accounts. Password is not the only thing you can store on password manager. It allows you to store a wide range of information including credit card detail, email address, shipping address, smtp address and more. Your passwords and sensitive data are stored in encrypted format. Your account is secured by a master password and two-factor authentication. Intuitive Password supports single-use access code. Malware or spyware on your PC may try to collect your code to access your confidential data. Luckily, this password manager can generate any number of single use codes for you to access your Intuitive Password account without using your real password. Even though the spyware catches code, they still can’t access your account because the code is reusable. You can feel safe to store confidential data on this password manager. This password manager is very easy to use. 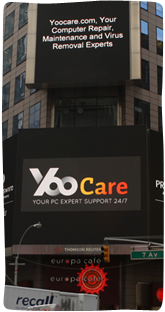 If you meet problem when using this product, you can contact their tech support. The support team is available from 9am to 5pm on weekdays (Australia time zone). Do we recommend Intuitive Password? Yes. It is a great password manager you can trust.